The Rushcliffe Golf Club rewards loyalty to its visitors and guests who play our fantastic course! 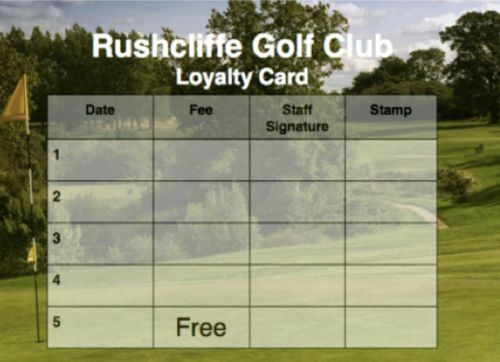 With that in mind our loyalty card gives all visitors who play 4 rounds of golf the 5th round for FREE! Thats right, play 4 rounds and get another for FREE! Please contact the Pro Shop on 01509-852959 #1 for more information and to book your next tee time!